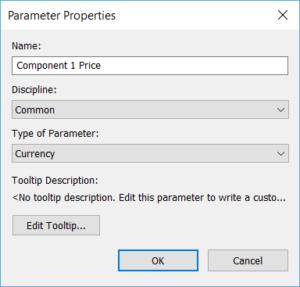 Start by creating shared parameter for the components as well as parameters for their price. 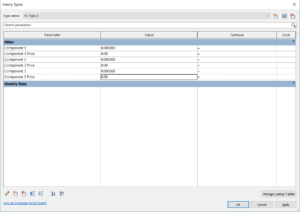 Include the shared parameters in the families they are meant to occur in (they will apply across all of the types within the family). 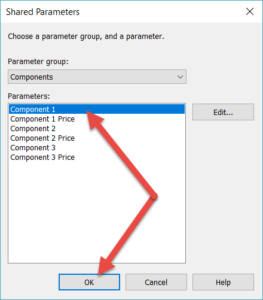 Select the shared parameters to include as type parameters. 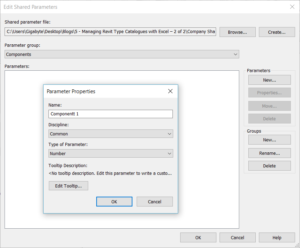 Since the family is to be managed though a type catalog, it is not necessary to indicate values for the type parameters in the family itself. Now export the Family types. 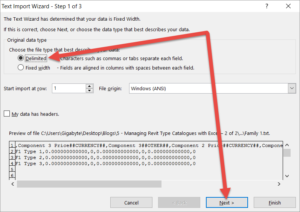 This saves as a text file in a comma delimited text file (CSV) which in turn is opened in Microsoft Excel (make sure to choose “All Files” so that the .txt file is visible). 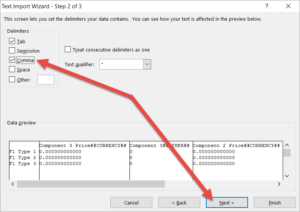 In the Text Import Wizard, choose “Delimited” for the original file type, and click next. Make sure to add “Comma” as a delimiter and click next. Save it as an excel file. 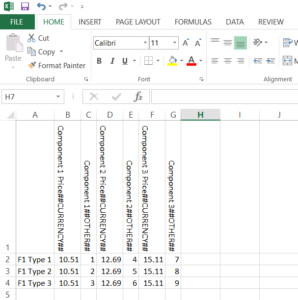 This excel file is what will be used to manage the Type catalogue. Do the same for the Second family. 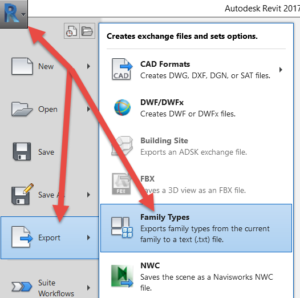 These Excel files may have their Rows and Columns sorted as the Row Order and column order is not of consequence to Revit when it populates data for families from type catalogues. 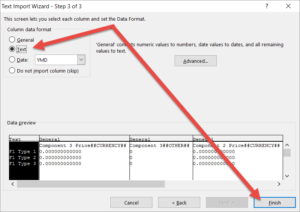 Now write the file out as a MS DOS CSV File and afterwards change the extension from .csv to .txt. 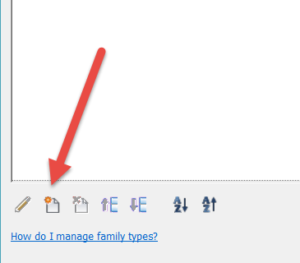 Move the text file into the directory containing the family. 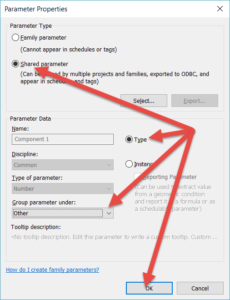 The next time the family is loaded into a project it will read the values for the parameters from the .txt type catalogue.